Being generous is always a very noble thing, and that has been proven by our employees. 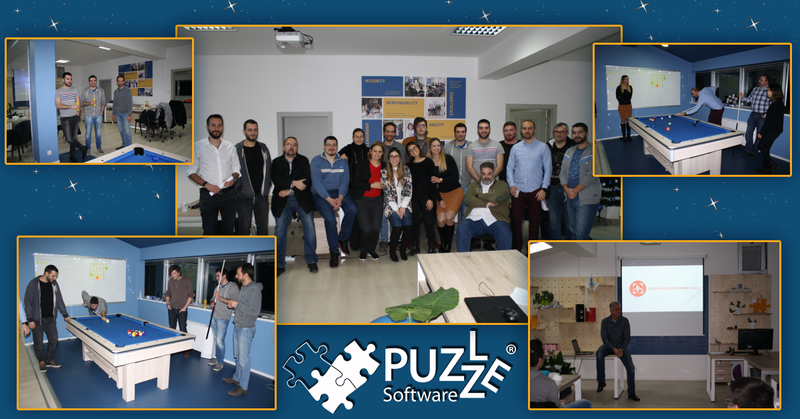 Instead of organizing an expensive New Year’s party, at the initiative of our Puzzle buddies, we decided to organize a charity pool tournament in our new office space. Our tournament was held on the 27th of December, and we had a blast! The winning party decided to donate the money that we raised to the Institute of Neonatology in Belgrade. “Once I received the proposal from our development team about the charity tournament, I was delighted to share the info with my colleagues. We were thrilled to accept the idea. The whole concept of helping someone out really feels great, and we are definitely planning on doing this again”, said our Social and Networking Manager, Tamara Vuckovic. The sum of money that we raised is not really that much, but the initiative is great. We are always open to individual initiatives coming from our employees, especially when helping others who are in need. Our donation arrived at the Institute of Neonatology just a couple of days after the tournament. Take a look at our fun night below. We want to thank our employees for their generosity – we are very proud of each and every one of our Puzzle Pieces!